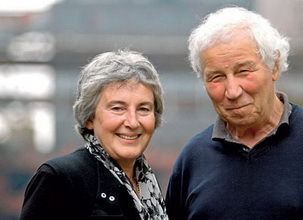 Ilya Kabakov was born in 1933 in Dnepropetrovsk (former USSR). He received his artistic education in Moscow at the Academy of Arts named for V. Surikov. During the 50s and 60s, he worked as an artist and illustrator for a publisher of children’s literature, dedicating his free time to his paintings, which became the basis for the “Moscow conceptualism” artistic movement. 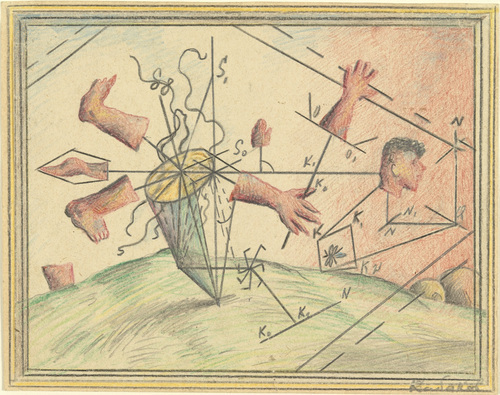 In the end of the 1960s, a circle of artists formed around Kabakov (E. Bulatov, O. Vasiliyev, E. Shteinberg, V. Pivovarov, V. Yankilevsky, U. Sooster), who worked close to Sretensky Boulevard in Moscow, which became the conventional name for the group. 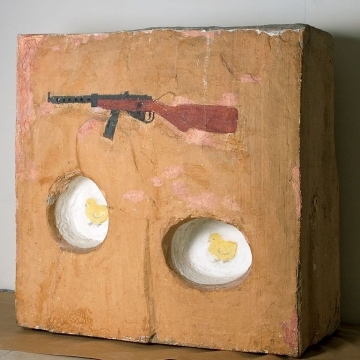 Conceptual artists focused their attention not on form or color, but on the internal composition of the subjects they depicted or the context in which the artistic method is realized. Text became an important element in the conceptual approach. In the 1970s he created more than 50 albums dedicated to the problems of man’s interaction with the reality around him. Included among them is one of the most famous series from the 10 albums, dedicated to ten characters – “little people” from the communist apartment – who exit the bounds of Soviet banality in their thoughts or actions. In 1987, Kabakov left the Soviet Union. A new phase of the artist’s work began in the West, in which Kabakov created or participated in more than 100 international projects under his conception of the “total installation.” Since 1988 Kabakov has worked in an artistic partnership with his wife, Emiliey Kabakova. The Kabakovs have lived and worked in the suburbs of New York since the late 1990s. Currently Kabakov is the best known of Russia’s artists, a laureate of many prizes and awards, and is among the ten most outstanding artists in the world in recent decades, according to ArtNews. Kabakov worked with Soviet material, like many others, but that influence was especially palpable in his work, because he spoke in an international language… Kabakov searched for the means to master space, and he, one of just a few, managed to crawl out of the apartment format,” K. Svetlakov. Kabakov was the first artist who was able to translate Soviet consciousness into code and offer us the key, opening the world to his work and his work to the world. He was the first artist in the second half of the 20th century to escape the category of “artist from Russia” and join the ranks of international art-stars… on the strength of his artistic and conceptual uniqueness, he began to symbolize Russianness, been lifted up to the international context, giving him an enormous presence in the art world and in the art market,” M. Kamesnky.